Does Vetropack have a moat? As commonly known, glass is a product that is extremely heavy and thereby costly to transport. Talking to Vetropack’s management confirmed my estimation about the range that can typically be covered by transport, i.e. about 150 kilometers at maximum. Naturally, there are plenty of competitors even in the range of the several distribution points of the firm, but Vetropack’s strong market position could help it maintain its moat against potential competitors while the excellent equity share of 82% protects it from financial distress. We would assume that the demand for glass is fairly inelastic. Common sense would tell us people need glass at all times, e.g. for alcoholic beverages and so forth. As mentioned above, Vetropack is their industries’ market leader in Switzerland, Austria, the Czech Republic, Slovakia, Croatia and Ukraine. Especially in its home markets it has the advantage of already owning valuable production sites. A manager at Vetropack also gave some insights about the production cycle and the characteristics of the melting tanks. The need to repair the tanks and their durability are empirically fairly predictable (about 10-20 years). We will see in a bit, if our assumption of a moat is statistically visible. 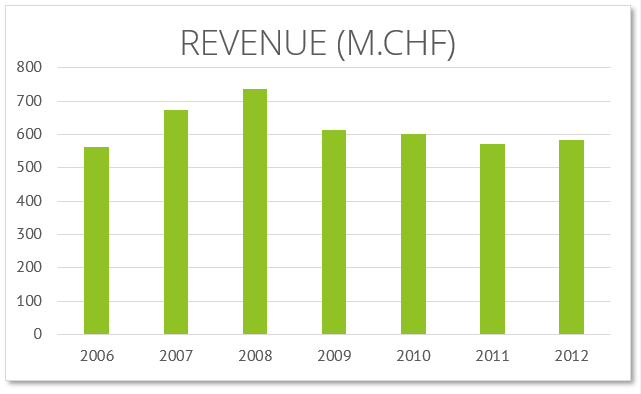 (an optional article on the (still) rising housing prices in Switzerland: http://www.globalpropertyguide.com/Europe/Switzerland/Price-History) The research and development section is bringing something up that could be a true game changer (and one of the big investments the company made): extremely tough glass. The new type of glass is chemically hardened and whether or not it can be used to conquer a large market for consumers depends heavily on the development of its competitor: the equally stable, though unsustainable plastic bottle. Rising oil prices will have a positive effect for hard glass, while a decrease could mean the end of its development. As the management told us, it will most likely not become a major position in the product portfolio as long as it does not proof to be profitable without question. Also, in our opinion, the conservative strategy of the company is the key to its success in the recent years and most likely in the future. The company went out of the plastic bottling business (as described above) and meets our strict sustainability criteria. It also gains about 50% of its material through recycling (which of course is as locally restricted as the sales). Is there qualitative evidence of a moat? Comparing the company to its competition, it seems like it does show signs of a moat. 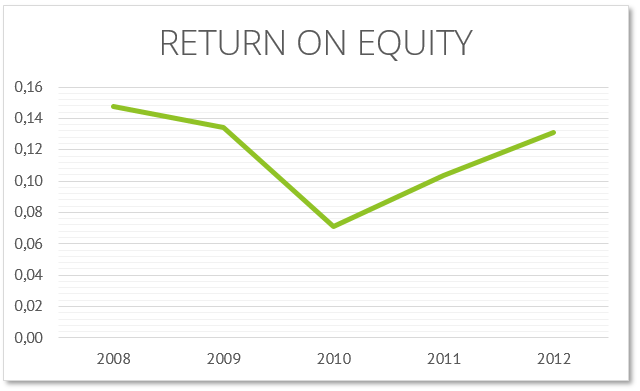 Keep in mind that P/B is currently 0,97 and it has 82 % equity, as mentioned above. In addition, it needs to be remarked that Vetropack made big additional capital expenditures in the recent two years for modernizing/repairing melting tanks which explains the comparatively low Return on Invested Capital. But does the company produce valuable cash flows? 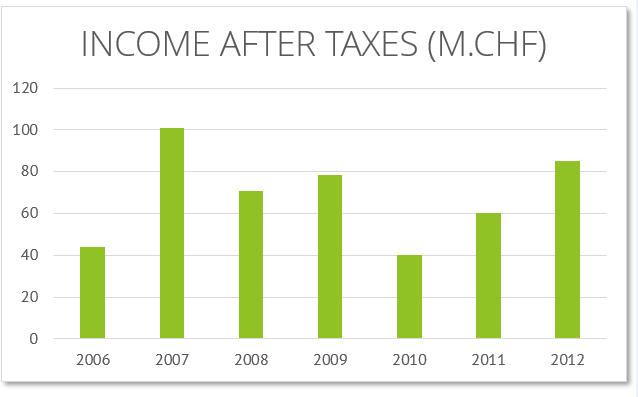 Having a look at the financial statements shows a very constant cash flow. (http://www.vetropack.com/htm/finanz_list_1.htm). 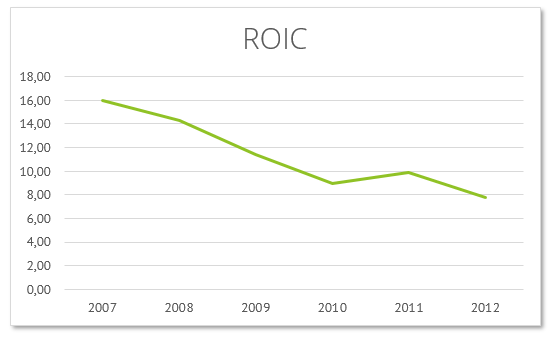 Using different Discounted Cash Flow models takes us to an estimated intrinsic value of about 2998 CHF (DCF), 3136 CHF (Graham) and 3074 CHF (Fair P/E using Porter formula) per share. That equals a discount between 0.39 and 0.41. Obiously, there are still risks that need to be taken into account. 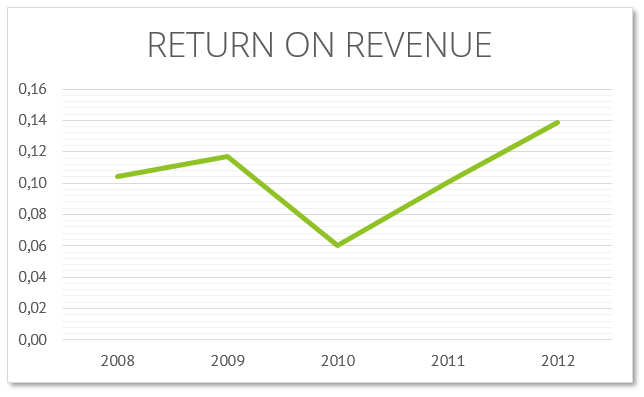 For a fairly conservative calculation we used a 3%-5 year and 2% eternal growth rate at a 10% discount rate. As mentioned in the following (german) article, the company will not be able to significantly raise prices, but is planning to move to higher margin market segments. No extraordinary rise or fall in profits should be expected. It seems to us as if the glass manufacturer is an extremely solid, stable company. One of the great advantages is the responsible, conservative, risk averse management that we talked to and that you can get an idea of in the prospectus. We believe that there should be no surprises. You can also see the book structure below; Vetropack is managed by the owning family which is a crucial fact to us. http://www.finanzen.ch/nachrichten/Aktien/Vetropack-H1–Gewinnrueckgang—Konkurrenz-verhindert-Preiserhoehungen-Zus-590346 http://www.vetropack.com/htm/vetrogruppe_corpgov_1.htm There are risks containing but not limited to rising prices for energy and wrapping material and personell (which has already caused a decrease in EBIT last year). The holding company, as well as the subsequent companies, has an active risk management system that is aware of these facts in particular. 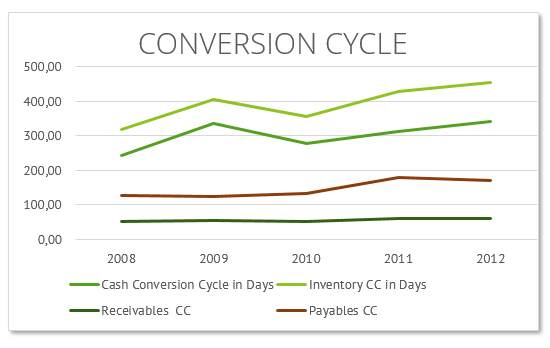 Looking at the cash conversion cycle, you can see that it takes about 300 days to convert cash, which is a dangerous signal. We will comment about this in an upcoming post. Buy, hold, sell? Is this speculative? In our recent link list you can find an article on the dangers of an upcoming stock bubble burst. We are ourselves aware that it is hard to find great companies at a reasonable price at this time. Vetropack is in our opinion still a conservative, distress-proof, kind of boring company at a reasonable value. If are hoping for future IT-like returns and innovations this is not for you, but does definitely beat the “safe” options in the market return-risk-wise. We love that the company has turned from the unsustainable plastic bottle production and that 50% of its product is recycled glass. We would expect the stock to meet the intrinsic value of about 3000 CHF which is a discount of about 40%. We will not make a final statement right now, because we still need to clarify the long cash-conversion cycle. Stay tuned. Disclaimer. Disclosure: Long VET at time of writing.